Mourning and anger across northern Iraq has led to calls for the governor of Ninewa Province to be removed, and for corruption to be investigated. It is symbolic of greater anger at the lack of progress and reconstruction in the area more than two years after it was liberated from Islamic State. It also reveals general suspicion over Baghdad's role and whether the federal government in Iraq cares sufficiently about Mosul, or the Kurdish autonomous region of the country. Iraq's Parliament met Sunday to consider various changes in Mosul in the wake of the disaster. 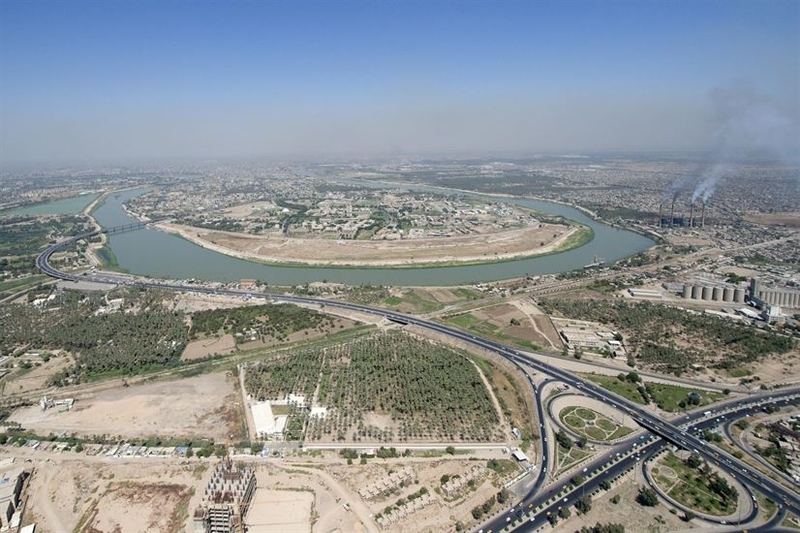 Mosul was once Iraq's second largest city, a center of business and power. However, insurgents flowed into the area following the US-led 2003 invasion, and it was conquered by ISIS in 2014. Since then, the city has been neglected and remains partly destroyed. It has attempted to recover, with renewed cultural activities, cafes and a new sense of embracing its historic past and diversity. This is a response to the abuses under ISIS when minorities were expelled, temples and shrines blown up, museums ransacked and archaeological sites demolished. Yet people persevered, returning to Mosul University just after liberation, despite part of the campus having being burned. Locals are outraged, and much of the rage has concentrated on local corruption, with the governor a prime target of accusations. Ninewa Governor Nawful Akub was appointed in 2015. Rasha al-Aqeedi, an expert on Mosul, writes that Akub's appointed was controversial from the beginning. The former governor, Atheel Al-Nujaifi, was from an old Mosul family, but he was forced to flee during the ISIS assault on the city. Akub was brought in from rural Ninewa, she notes. "Nawfal assumed the governor's post and brought in his tribal and rural tendencies and behavior." He intervened in reconstruction projects and was accused of overseeing corruption and bribes. "Nawfal not only grew richer, but his mafia-like thuggish behavior made him a favorite for many behind-the-scenes officials in Baghdad," Aqeedi said. "His family was accused of corruption, and he positioned himself as essential to the UN and local aid projects." The governor was also accused of having connections to militias known as the Hashd al-Shaabi, the collection of paramilitary groups called the Popular Mobilization Forces. The issue of militia involvement in corruption and the ferry sinking also had widespread ramifications in Iraq. One member of parliament accused Asaib Ahl al-Haq, a pro-Iranian Shi'ite militia member, of involvement in profiting from the island where the ferry disaster took place. According to these sources, reported in Rudaw and Al-Arabiya, Umm al-Rabeein Island was a center of corruption after these areas came under the control of militia influence following the defeat of ISIS. On Friday, when the governor and other Iraqi politicians sought to come to Mosul, they were greeted with protests. President Barham Salih left his car to walk through the crowds. Iraqi Prime Minister Adil Abdul-Mahdi has asked parliament to remove the governor. Mosul Eye, the blog that heroically covered Mosul during the ISIS occupation and continues to strive to highlight the city's needs, has called the removal of the governor a "second liberation." But it is not enough, the blog sys. "Arrest him, bring him to justice." Relatives of a member of Mosul Eye's team were killed in the ferry disaster.